National legislation in Burundi should be amended to restrict use of firearms by law enforcement officials to situations where individuals pose an imminent threat of death or serious injury or a proximate and grave threat to life. Article 23 of the 2005 Constitution of the Republic of Burundi (as amended) prohibits arbitrary treatment by the state and its organs. "The State has the obligation to indemnify all victims of arbitrary treatment by the State or its organs." Article 24 provides that: "All women and men have the right to life." Article 25 prohibits torture and other forms of cruel, inhuman, or degrading treatment or punishment. Article 32 guarantees freedom of assembly. Article 159(3) stipulates that law shall set down the general rules of organisation of the national police. * Burundi withdrew from the ICC on 27 October 2017. According to Article 13 of the 2017 law on the police, the Burundi Police may only use force where necessary for a legitimate law enforcement objective. 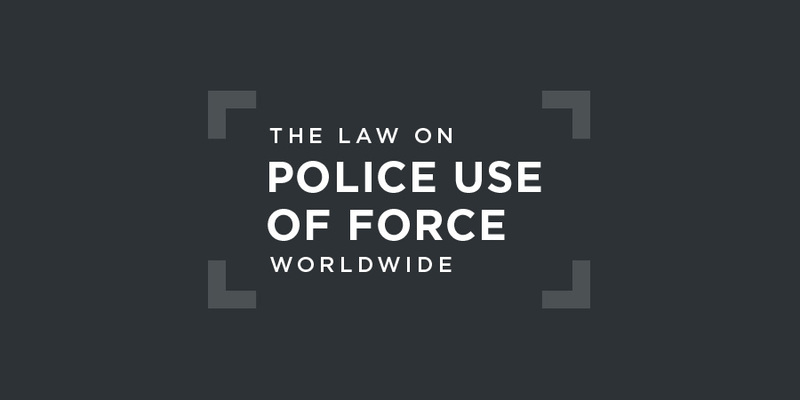 All use of force must be "reasonable and proportionate to the objective being sought". The law does not regulate the use of firearms. There is no independent civilian oversight body for the police in Burundi. In its 2016 Concluding Observations on Burundi, the Committee against Torture urged the government to "set up an independent, effective and properly resourced national mechanism for the prevention of torture". In its 2016 Concluding Observations on Burundi, the Committee against Torture urged the authorities to "exercise strict control over the police and security forces to prevent them or any other person from committing extrajudicial executions". have and are taking place, committed primarily by State agents and those linked to them. These gross violations are systematic and patterned and impunity is pervasive. While the crisis continues and even though the level of overt violence has declined, the overall level of oppression and control over the society has increased, manifested by arbitrary deprivations of life, enforced disappearances coupled with credible allegations of unacknowledged places of detention, in addition to cases of torture, other forms of ill-treatment and arbitrary detention on a massive scale. Freedoms of expression, association and assembly are virtually non-existent. Victims and witnesses are the targets of reprisals. Without determined interventions by the Government of Burundi and a renewed robust engagement by the international community, including the United Nations and the African Union, the country’s downwards spiral is unlikely to be reversed, endangering not only the rights of individuals concerned but also the overall security of the region. The experts cannot exclude that some instances of these gross human rights violations amount to crimes against humanity, and urge for independent international judicial processes to bring the alleged perpetrators to justice. This case concerned alleged torture of the complainant by the police. The UN Committee against Torture noted that, according to the complainant, on 23 April 2011 he was arrested at his home by police officers, taken to the Muyinga police station, where he was accused of participation in a planned rebellion against the regime, questioned and then brutally beaten by the Muyinga deputy commissioner, who allegedly also threatened to kill him in a mock execution. Despite the fact that he had serious injuries and a broken arm, he was reportedly transferred on the same day to the Muyinga prison. Despite his requests for medical care, he received none. In respect of article 1 of the Convention against Torture, the complainant added that the conditions of detention at the Muyinga prison, where he was deprived of care, subjected to prison overcrowding and forced to sleep on the floor, also were forms of treatment constituting torture. The Committee noted that Burundi had not replied to the author’s claims. In these circumstances, and on the basis of the information made available to it, the Committee concludes that the complainant’s claims must be taken fully into account; that the abuse inflicted upon him was committed by officials of the State party acting in their official capacity; and that those acts constitute acts of torture within the meaning of article 1 of the Convention.